With consumers increasing their rate of saving, credit unions are seeing a boost in their share portfolios. How is your credit union promoting thrift among members? In a recent Internet Strategy Consortium survey of over 12,000 members, 97% of those surveyed have taken steps to better manage their financial situation. While the vast majority is trying to spend less money (83%) and trying to reduce debt levels (63%), 14% have moved money into savings or CDs. Americans saved 4.2% of their income in the first quarter of 2009, a remarkable increase over the near-zero rate from the first quarter of 2008. The first quarter normally sees significant inflows due to year-end bonuses and tax refunds. 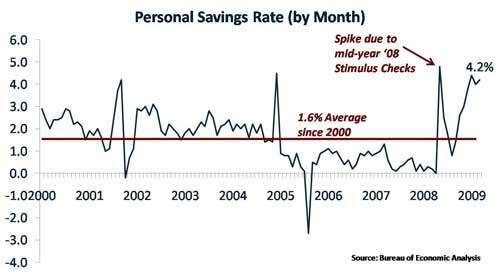 With continuing economic instability, though, consumers are starting, or increasing their savings plan. Additionally, bank failures and a falling stock market throughout 2008 resulted in a consumer flight to safety and quality. 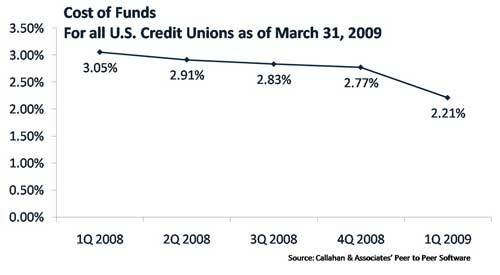 Credit unions across the country have seen record share growth due to the confluence of events. Those events though, include starkly declining interest rates. The Federal Open Market Committee set a target range of 0 – 0.25% in the December 16, 2008 meeting. As such, cost of funds as a percentage of average assets decreased to 2.21% from 3.05% in the previous March. While dividends paid out declined 23.1% from March 2008 levels, credit unions have remained competitive in their respective marketplaces. As of March 31, the average credit union rate offered for a Money Market account was 1.36%. By contrast, in early June the national bank average rate on the same type of account was 0.49% (American Banker). Yet with declining interest rates, members have adjusted their savings vehicles. Significant changes include a 15.7% increase in Money Market balances from March 2008 to push account totals to $141.0B. Members, faced with lower rates and an uncertain economic environment, opted to put funds in liquid accounts. 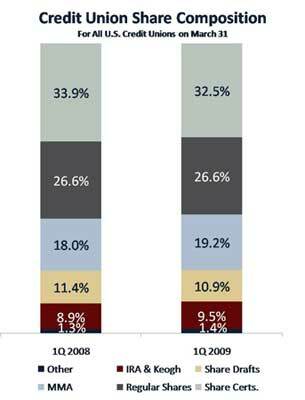 With concerns about the stock market, members also increased their insured retirement fund balances. IRA and Keogh accounts increased to $69.7B, a 15.8% jump over March 2008. Given declining interest rates, members put fewer funds in share certificates. Total balances grew 3.8% since the previous March, a dramatic slowdown from 2007 - 2008 growth of 13.7%. With the consumer flight to quality, credit unions have an opportunity to capture increased member savings and new members attracted by rates and value. How is your credit union using the current marketplace?